What better place to start than one of my favorite places in Madrid: El Parque del Buen Retiro (Park of the Pleasant Retreat). 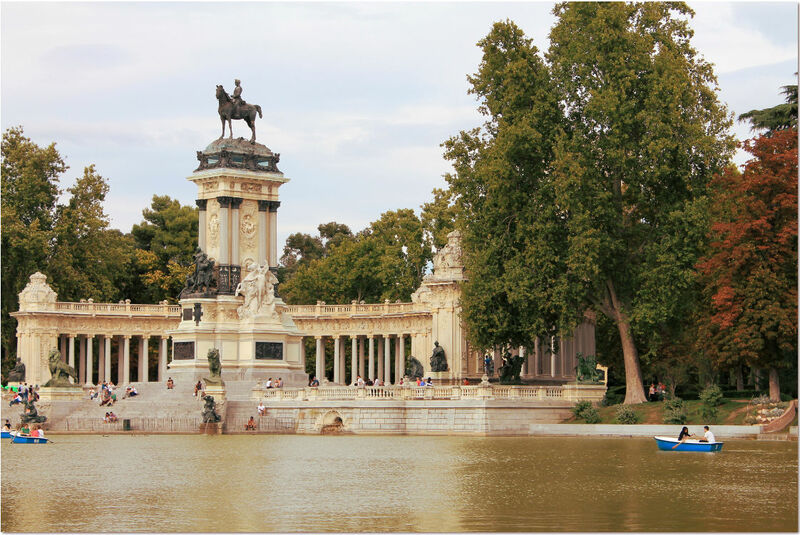 There are many parks in Madrid, in fact it has one of the highest acreage of green space of any European city! 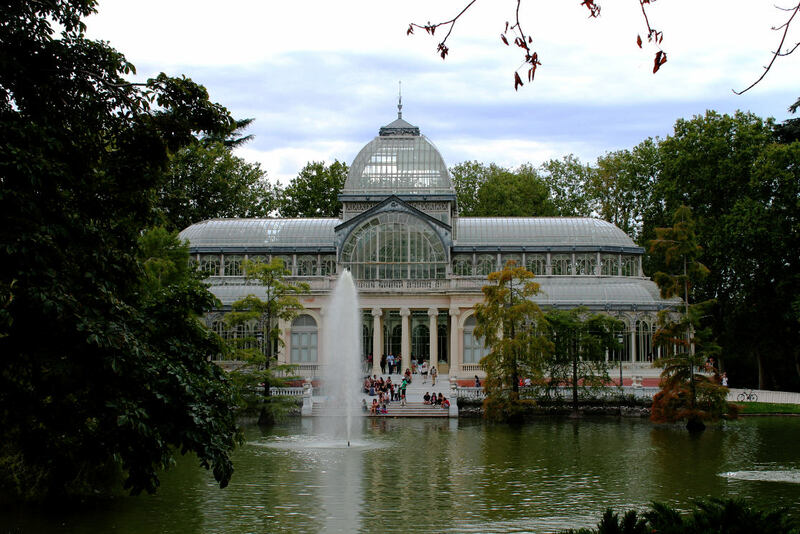 The grandest (and in my opinion best) of them all is El Retiro, which is conveniently located just a few blocks from where I live. Score! 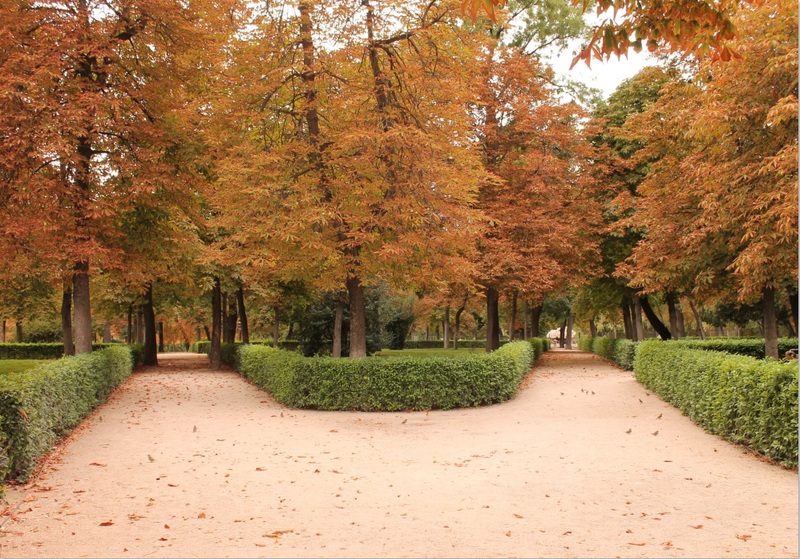 The park was born as the backyard of a monastery over 500 years ago, in 1505, and began to take more of a formal shape following King Philip II’s move to Madrid in 1561, finally making Madrid the capital. It’s been updated and enlarged since then to become the park it is today. “Squirrels! You can go see them in the Retiro!” One of my students exclaimed once during a lesson on animals. This wasn’t the first time I had heard about the mythical squirrels in Retiro Park, in fact. Several Spaniards had already recommended that I go there to view the little tailed creatures. The first time someone told me that I could see them there, I straight up laughed. “But…squirrels..you can see them anywhere!” I answered with mirth. This was in my first few weeks in Madrid when I had other things on my mind besides noticing the city’s rodent population. But then after I had been in Madrid for a few weeks I realized something. I hadn’t seen a squirrel yet. And then suddenly all the tourists in New York parks stopping to gawk and take photos of what I deemed to be perfectly normal and at times undesirable animals made sense. 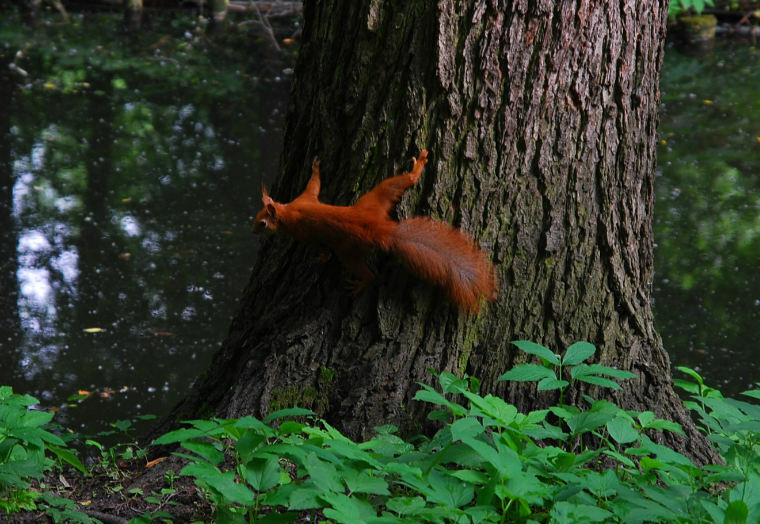 (I will admit I was guilty of squirrel photography in Poland, but the squirrels there were red with cute tufty ears! They needed to be documented.) I tried then to explain the squirrel situation in the United States. “Squirrels are like rats…they’re everywhere! Not special.” I said, which didn’t seem to help at all and I realized maybe rats weren’t as abundant over here either. I was still urged to go see the squirrels. I spend a lot of time running in Retiro Park but I have yet to see a squirrel. Liars! I was deceived! Luckily for visitors, squirrels aren’t Retiro’s only draw. The main event is a large rectangular man-made lake over which a statue of a man on a horse towers while park-goers in rowboats navigate the waters below. Around this hub congregate all the usual suspects at a touristy location, from knock-off bag sellers to puppeteers, which seem to be a European thing; I remember seeing them as a child in Paris (of course that’s one of the things I remember of my first time in Europe). A walk through its 350 acres can lead to stumbles upon a variety of cute little buildings, including some that aren’t so little. My first time exploring the park I happened upon a sign that said ‘Palacio de Cristal’. “Yes, park. Crystal Palace, show me that.” I thought, and meandered down the path. I was not disappointed. As with many parks, there are musicians tucked into every leafy nook, their tunes softly wafting up the paths at all times of day and into the night until the park closes. In my first day of explorations, I happily stumbled upon a smiling man playing El Valse de Amélie on the accordion and a man playing bagpipes. Spanish, bagpipes, what? You might ask. 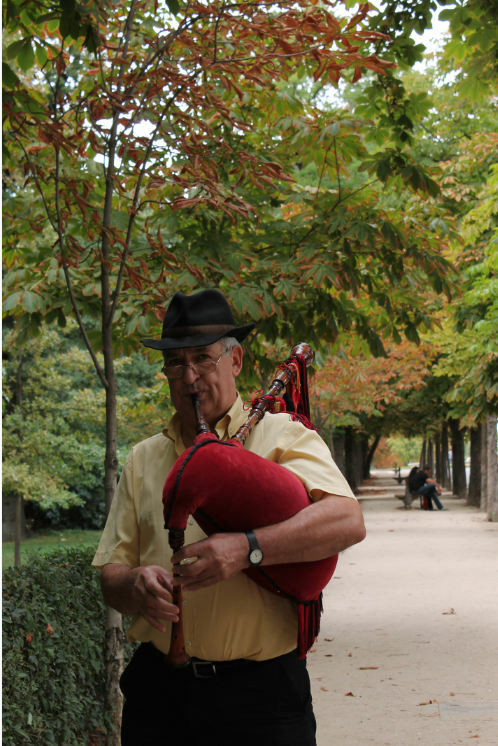 The northwestern region, Galicia, actually has a lot of Celtic influence, including playing the bagpipes! The park is also home to The Forest of Remembrance, or The Forest of the Departed, which pays homage to the victims of the March 2004 (earning the attacks the moniker 11-M) terrorist bombings in Madrid, when bombs exploded on four commuter trains, killing 192 people. In remembrance of each person, there are 192 cypress tress in the forest. 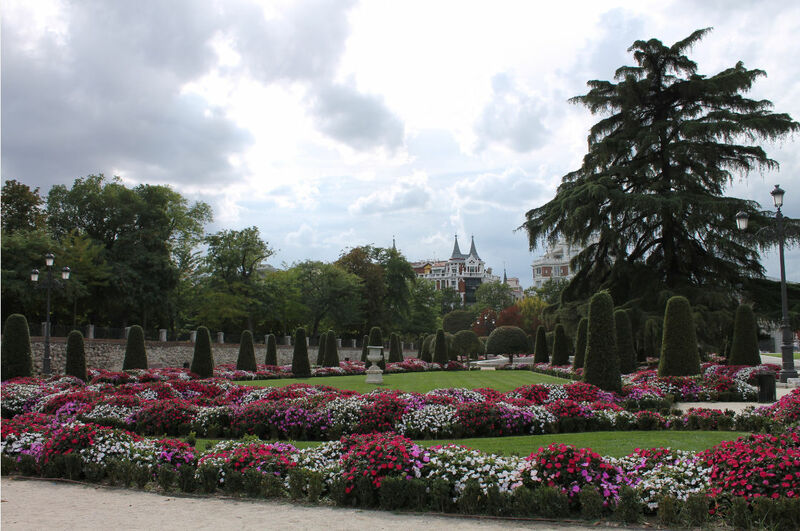 Finally, there are also gardens more in the royal style located nearest to El Prado, the world-famous art museum. 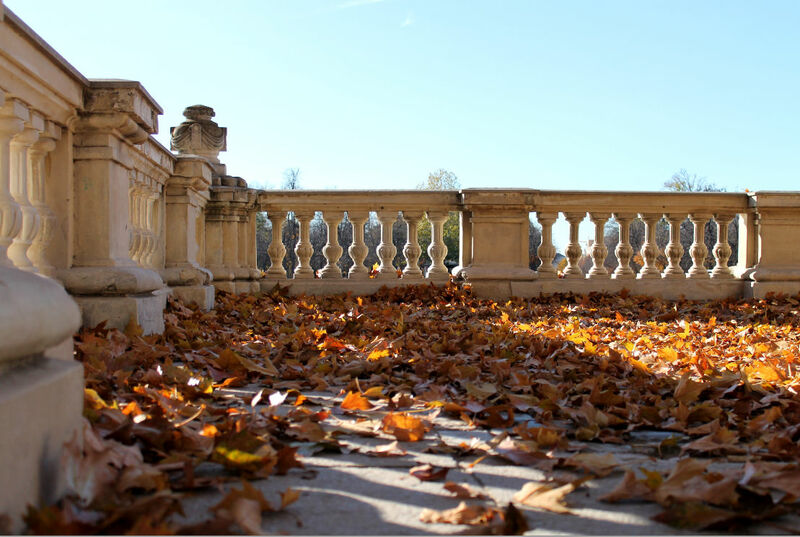 El Retiro is without a doubt one of my favorite places in Madrid; I’d urge any first time visitor to make a bee-line there as soon as possible! Are you a fan of parks too? Where is your favorite? ← You’re going to Ibiza…in November? 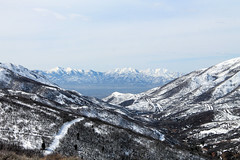 Sam, I’m a big fan of local parks and I love seeing how they change each season. 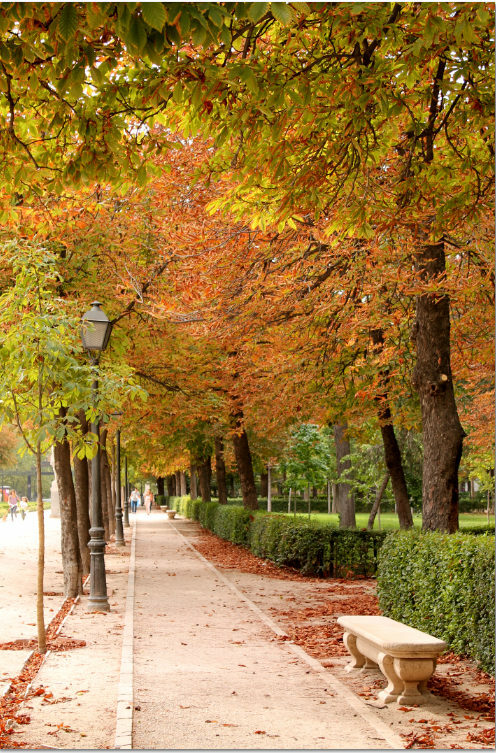 Madrid looks just stunning when covered with leaves and these yellow-orange colors ah! I wish I was there. I agree!! I’m looking forward to seeing in it in the Spring next! I was just in Madrid, and Retiro and did not see a single squirrel. It struck me as odd. In most every park I have ever been in around the world there are squirrels. I went to jardin botanico, retiro, campo de morro and if there are any squirrels they were very well hidden. I’m glad to see I’m not the only one that noticed this! !